"About", show you the basic information about this app. "Help", show you the documentation about this app. "Recommend friends", recommend friends Golf GPS Scorecard via E-Mail. 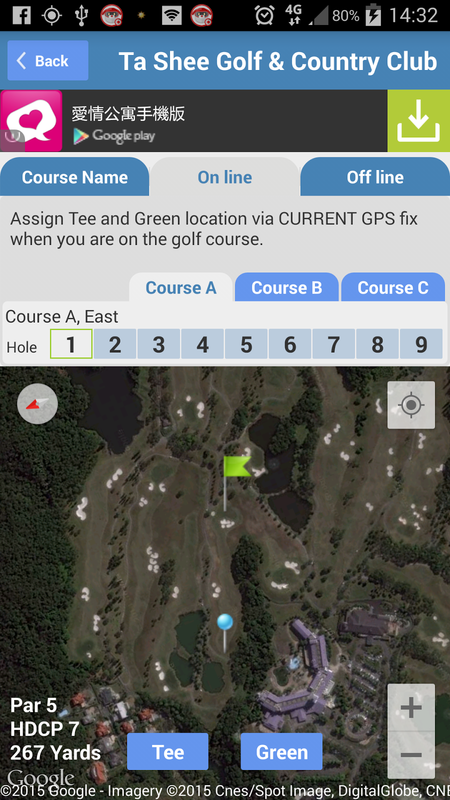 "Suggest to author", E-mail author your opinion about Golf GPS Scorecard. "Golf Course", golf course photo album. 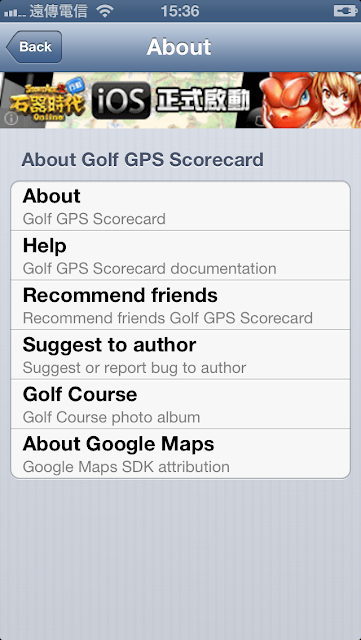 About Google Maps", Golf GPS Scorecard use Google Maps SDK, according to Google, I have to provide it.